Richer Sounds: 'business as usual' despite stores being hit by looting | What Hi-Fi? 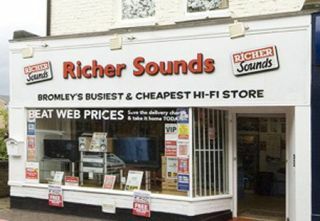 Richer Sounds says it's 'business as usual' despite three of its stores – in Croydon, Bromley and Birmingham – being looted during the riots earlier this week. Several videos appeared on YouTube of Richer stores being attacked and looted, but a spokeswoman for the company says: "All our stores are open, even those affected by the disturbances. "In the instances where we are waiting to be restocked, we are still serving customers – and we are offering to mail order goods free of charge to customers' homes." Richer Sounds says it would like to thank everyone for their support, and their practical help with the clean-up in those areas affected.